Anti-BDS legislation in the U.S. is unhelpful. BDS should be fought subtly, without giving it too much oxygen. To read a different perspective on anti-BDS legislation, click here. American activists pushing legislation penalizing the anti-Israel Boycott, Divestment and Sanctions (BDS) movement should learn: just because something's constitutional doesn't mean it's wise. Sometimes, in democracies, better to shut up than shut opponents down. In early February, the U.S. Senate voted 77 to 23 to prohibit U.S. companies from boycotting Israel while backing up any state — 26 so far — that divests from companies boycotting Israel. The bill does not squash free speech. It limits commercial activity, not debate. And it picked a most deserving target: a dishonest, divisive, destructive movement that often masks rank Jew-hatred behind frothy human rights rhetoric. If I were a senator, I would have voted "yes," though for the bill to become law it needs the House of Representatives' approval and the president's signature. Nevertheless, the bill is unnecessary, distracting, and politically unhelpful, resting on subtleties requiring a paragraph to explain in a world of tweets and punchlines. Critics reduce their argument to two words that bamboozle Americans: "free speech." Freedom of speech is a sacred right. Democracies cannot function with rigid orthodoxies squelching debate. But this bill doesn't stop Israel-bashers from bashing Israel. It does say that those who choose to avoid commercial activity with Israel can see states avoid commercial activity with them. Doing business with a state is not some sacred right. And boycotting is an action, not a thought or statement. Since the 1960s, the United States has decided – justifiably – that customers cannot suffer discrimination based on race, creed or gender. You cannot legislate away a shopkeeper's racism, but actions are actionable. And, hypocrisy alert: many left-wingers crying "free speech" over the anti-BDS law wanted the Supreme Court to override a baker's freedom of speech and religion to refuse to make a gay couple's wedding cake in Masterpiece Cakeshop v. Colorado Civil Rights Commission. There is something to be said for a bill protecting a historically un-protected groupfrom discrimination – in this case, Jews. The BDS movement is nefarious. It claims to be protesting Israeli policy. But many BDS leaders wish to destroy Israel. Many BDS followers blur anti-Semitism and anti-Zionism. 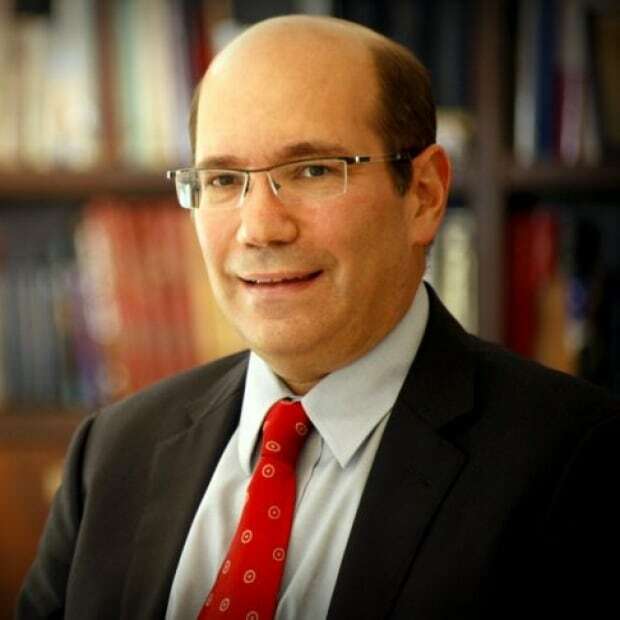 The progressive activist John Spritzler rips the mask off of some BDS-ers' denial of their true aim, writing "I think the BDS movement will gain strength from forthrightly explaining why Israel has no right to exist." Palestinian-American journalist Ahmed Moor admits: "Ending the occupation doesn't mean anything if it doesn't mean upending the Jewish state itself …. BDS does mean the end of the Jewish state." Given Hamas terrorism targeting civilians over decades, given the genocidal calls to wipe out Jews that still resonate in the world today, given the spikes in violence against Jews, the burden of proof is on the BDS movement — not its opponents — to disprove the logical claim that wiping out Israel implies the extermination of eight million Israelis: six million Jews, two million non-Jews. One of the most influential BDS founders, Omar Barghouti, justifies "armed resistance" and denies the Jewish right to self-determination – more attacks with genocidal implications. Inevitably, the rhetoric of what Toronto anti-BDS activists call the Blacklist, Demonize, and Slander efforts often echoes traditional Jew-hatred. Usually, when BDS campaigns begin, anti-Semitic incidents surge, ranging from hostile tweets to aggressive acts. We've seen it with attacks on "jewboys" at McGill University; it's been repeated elsewhere. And speaking of hypocrites, many Canadian critics are unprincipled too. Canadians don't share Americans' absolutist commitment to free speech. My guess is most Canadians would vote to boycott boycotters of blacks or women or gays or First Nations. So why not protect Jews, too? Still, I would not use this legislative tactic. It obscures the facts: that free, open democratic Israel faces two Palestinian dictatorships – Hamas and the Palestinian National Authority. It's better to push back politically, not legally. For peace-seekers, BDS – which Palestinians also call anti-normalization – is particularly counterproductive. Precisely when we need to personalize, build ties and reduce tensions, it demonizes, distances and escalates. Culturally and academically, BDS often most hits the nicest, warmest, most progressive people willing to bother trying to build-bridges. 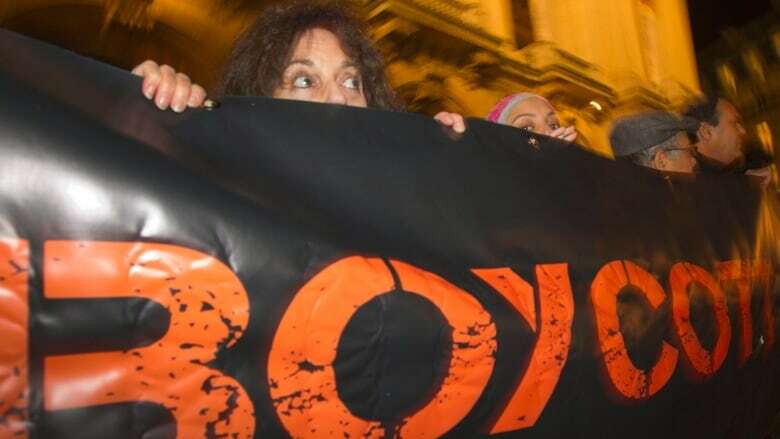 And given that the only country being comprehensively subjected to a boycott in North America is the only Jewish state in the world – and a democracy at that — and given that its proponents often target Jews with traditional anti-Jewish language doubting Jews' loyalty and exaggerating their power, BDS just doesn't pass the anti-Semitism smell test. BDS should be fought subtly, without giving it too much oxygen. When necessary, start by naming and shaming the haters. When possible, practice strategic neglect – ignoring the movement will frustrate its activists. BDS punches far above its weight by picking high-profile targets and winning the occasional symbolic victory – even as Israel's exports soar and Israel develops new ties to more countries year by year. Most importantly, instead of fighting so hard to delegitimize the delegitimizers, let's relegitimize — engaging in thoughtful, serious conversations about Israel and the Zionist ideas of using nationalism to achieve freedom and fulfillment.